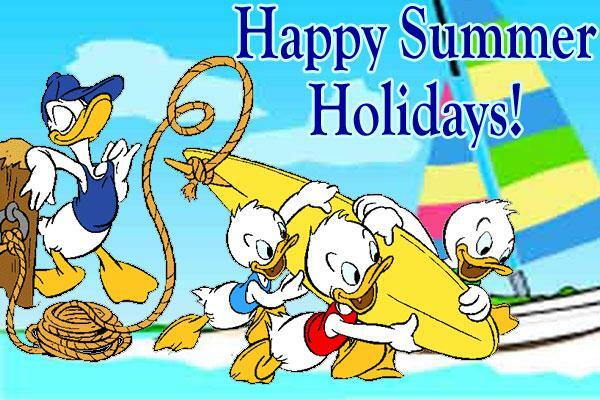 Today we close for our summer holidays. We would like to wish all our families a very happy & safe summer. 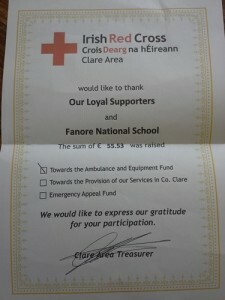 A big big thank you!!! 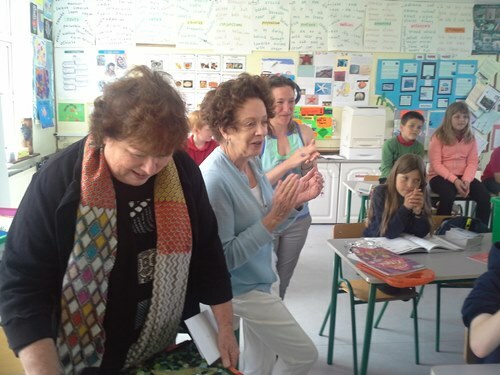 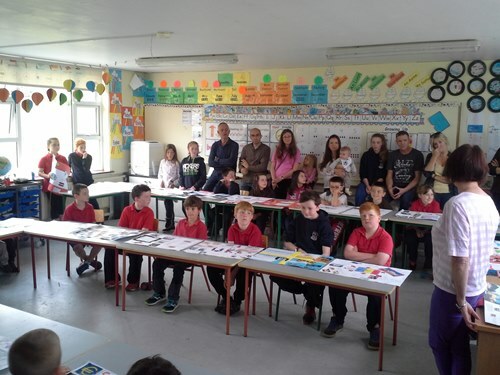 We would like to say a big Thank You to Joan & Mike, Terri & Bob for their kind donation to the school which made our An Bradán Feasa possible!!! 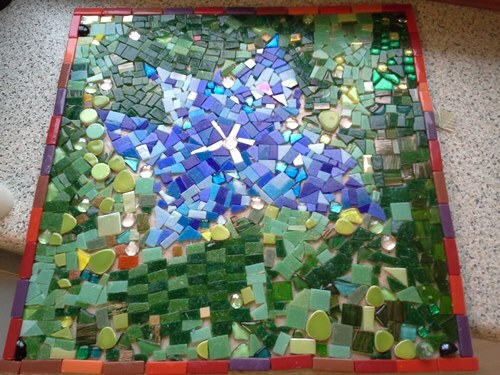 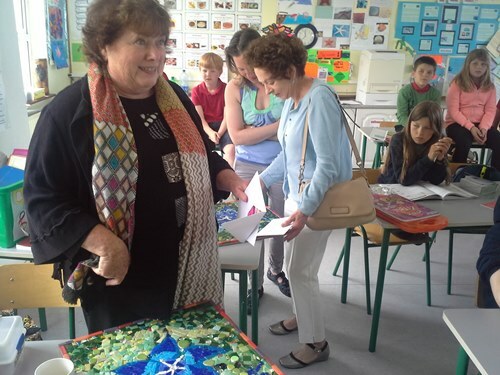 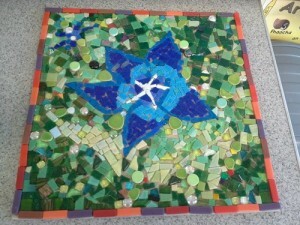 As a small token of our appreciation the children presented two mosaics designed and created by the children themselvs depicting Spring Gentians to Teri & Joan. Congrats to our girl below on guessing the correct amount of money in the bucket. 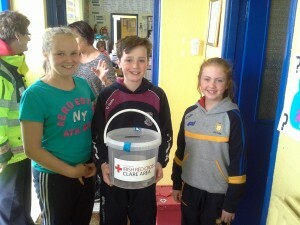 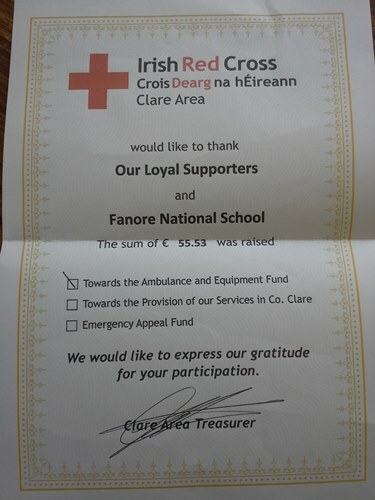 The money in the bucket was gathered by all our pupils in aid of the Red Cross. 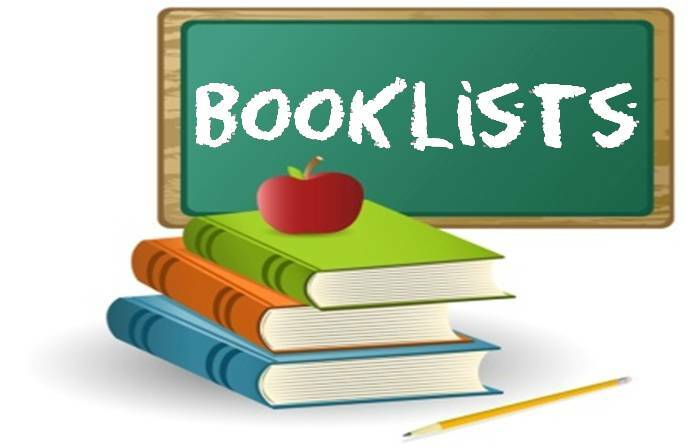 Booklists for the school year 15/16 are now available to download. Our annual newsletter is now available to read. 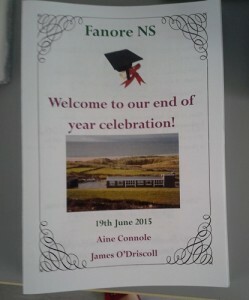 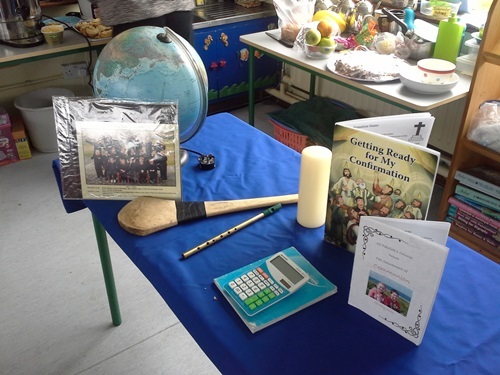 Today we had a graduation mass for our pupils who are leaving us on Tuesday for secondary school. 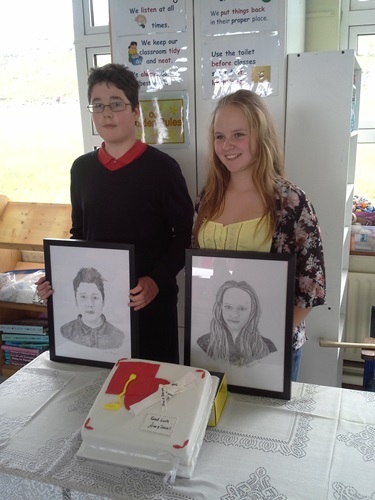 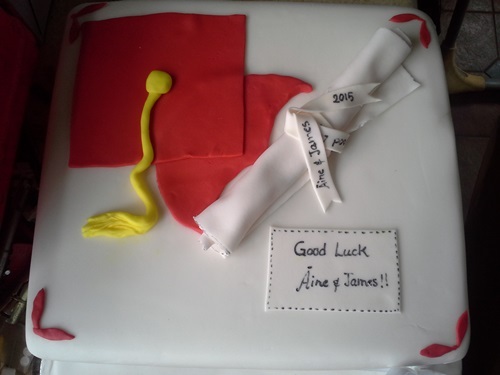 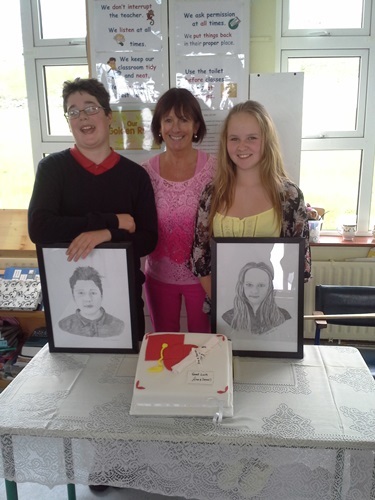 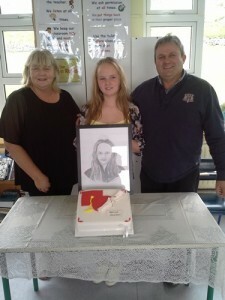 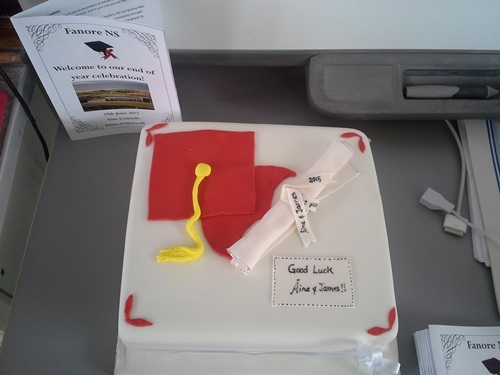 We would like to wish both pupils all the best for the future! 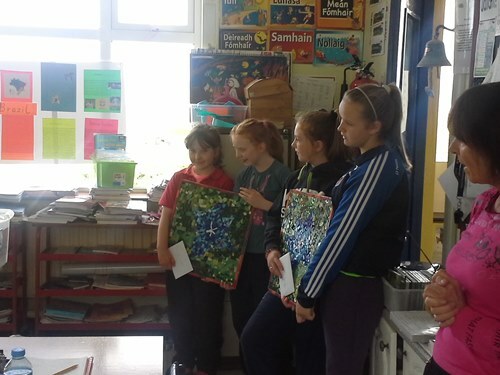 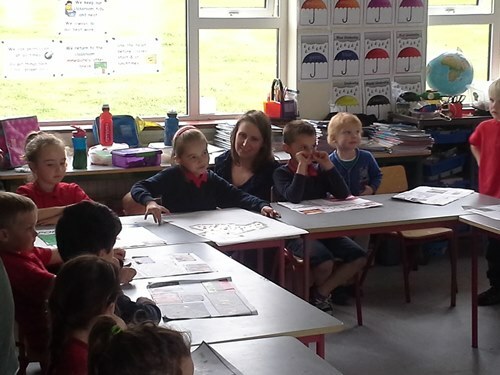 Congratulations to Aine Connole on getting to the primary school’s county final on Fri 12th June in Clarecastle. 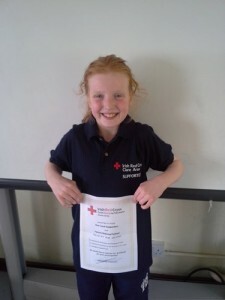 Aine played with New Quay & Carron National Schools. They were narrowly defeated by Lissycasey. Well done on getting to the final!! Today we held our Europe Day. 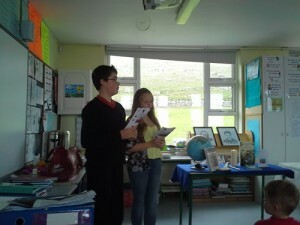 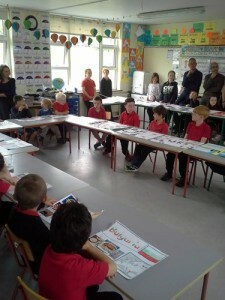 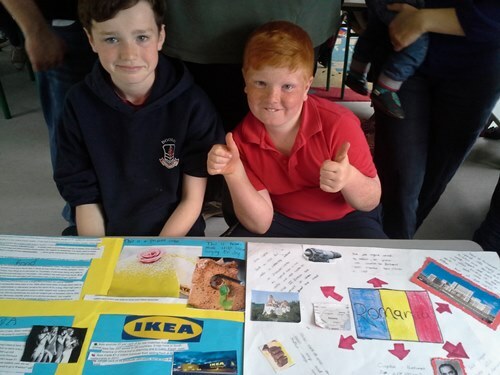 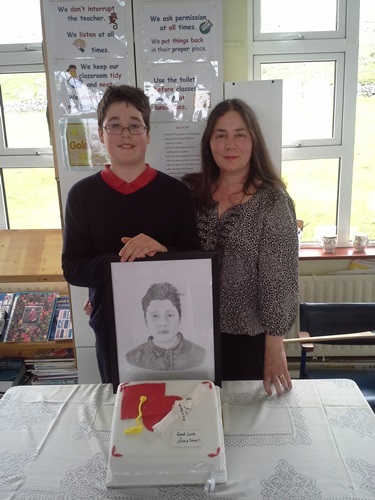 Each child had a project to present to all our parents. 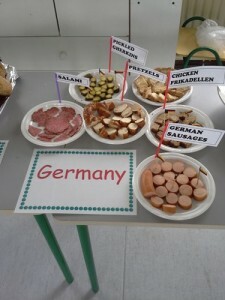 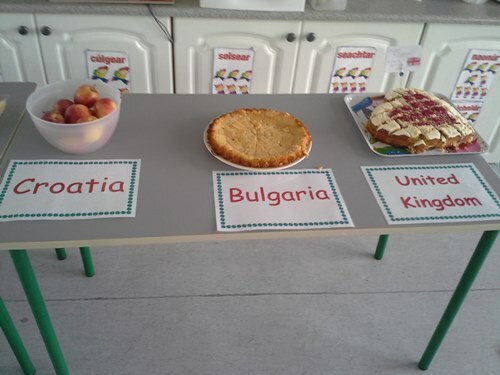 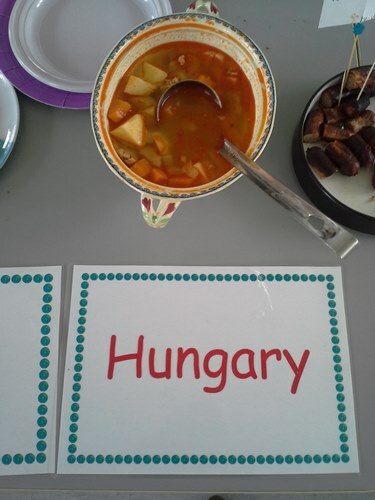 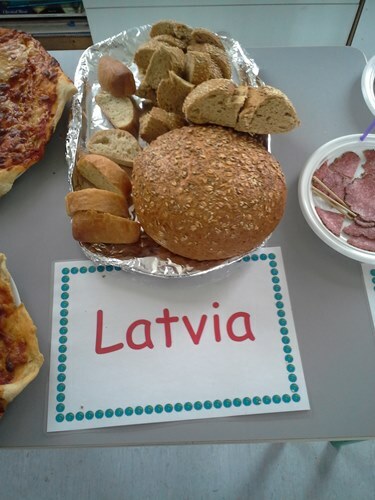 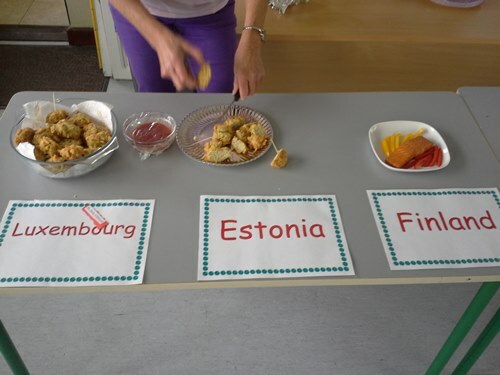 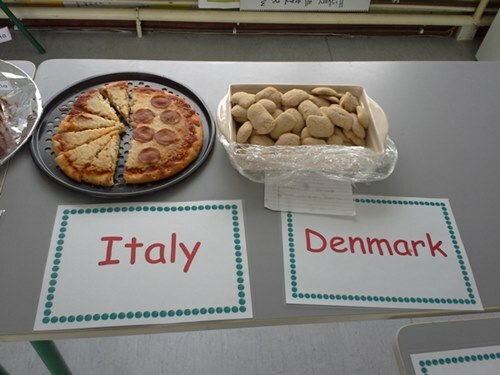 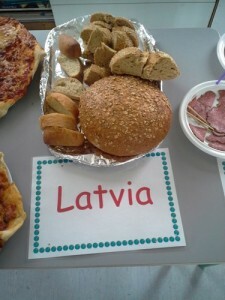 After the presentation of the projects, we sampled dishes from all of the EU countries. Many thanks to all our parents who made dishes for today, they were simply delicious!!! 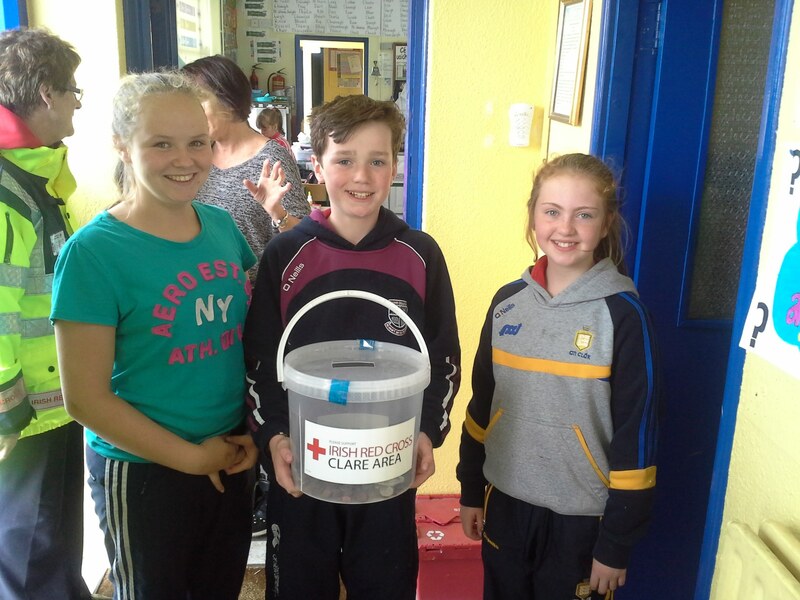 Our annual raffle took place today. 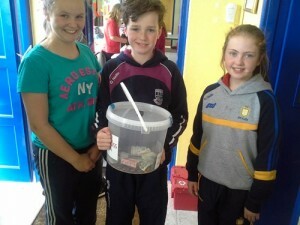 A big thank you to all who purchased raffle lines, your support is much appreciated. 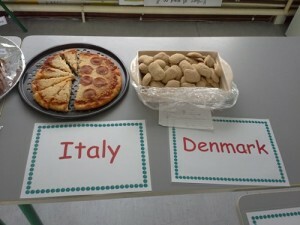 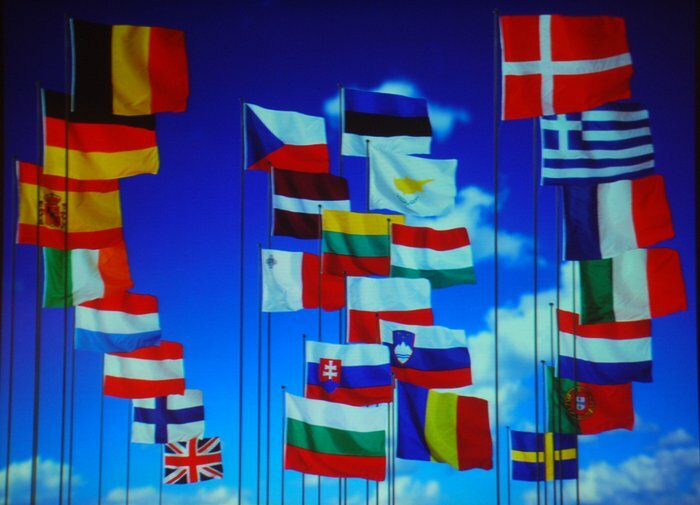 Tomorrow we will be holding our Europe Day. 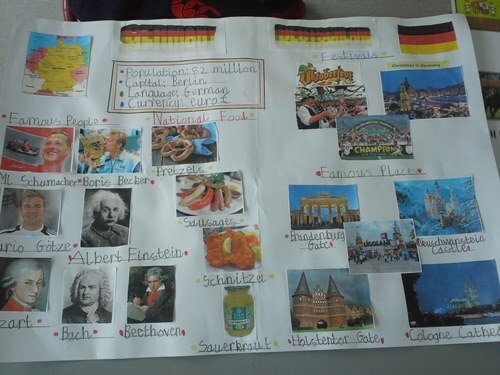 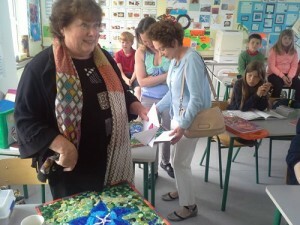 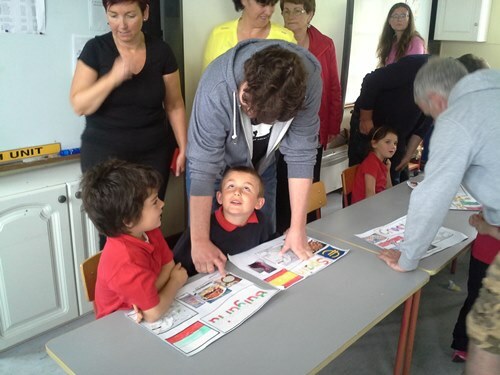 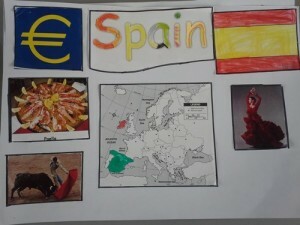 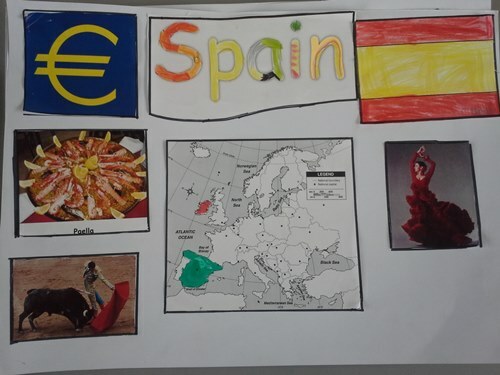 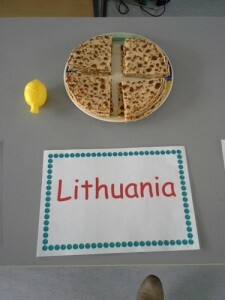 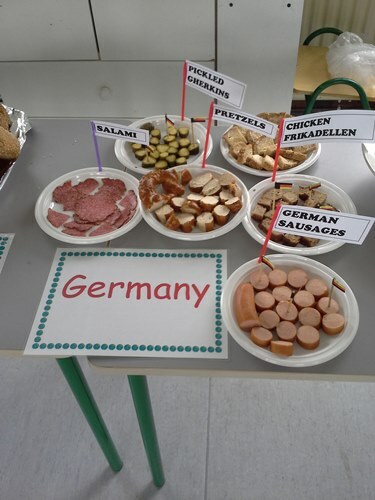 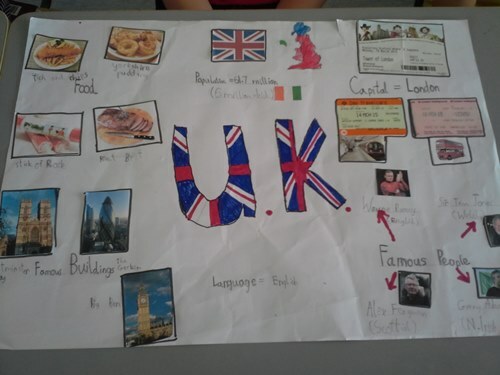 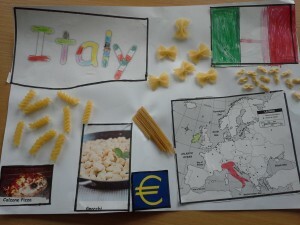 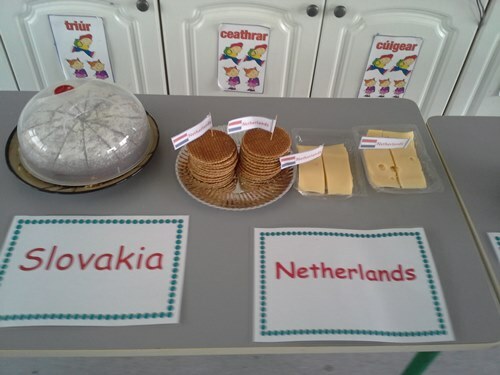 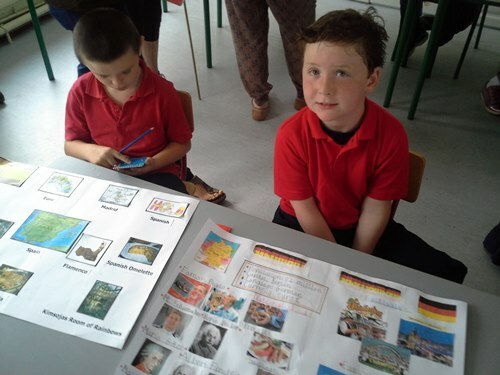 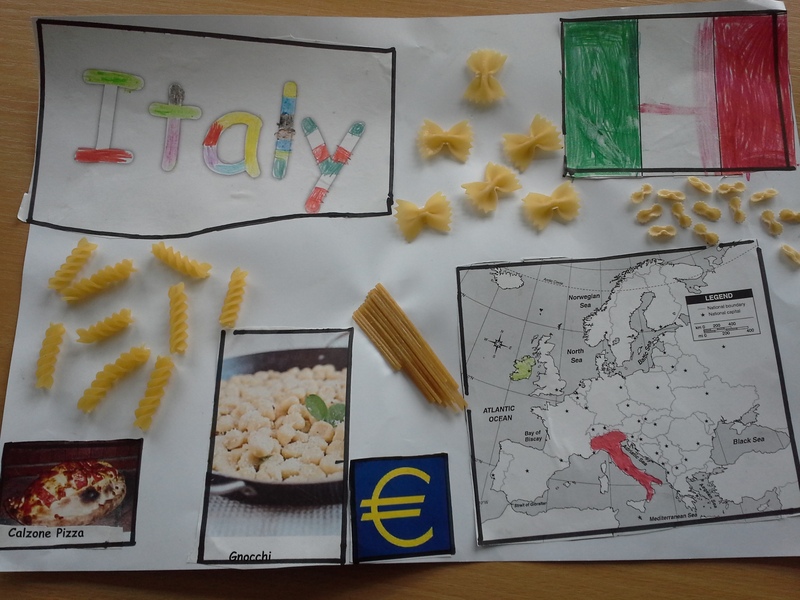 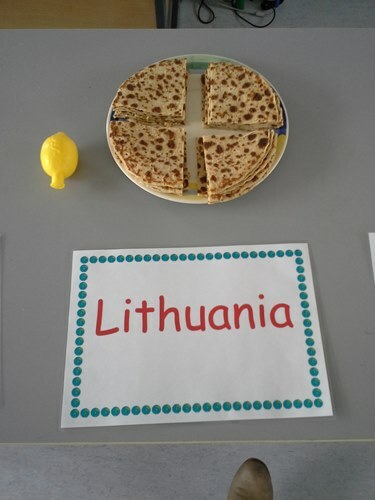 On this day, the children will present their projects and we will sample some European dishes!